Jackson & Rye in Wardour Street is one of those places that instantly feels comforting. I do love a classic brasserie/bar and that’s exactly what you’re getting here. With tables laid around a central bar the restaurant advertises New York-inspired food with lots of Parisian influence. See what I mean, a typical brasserie. 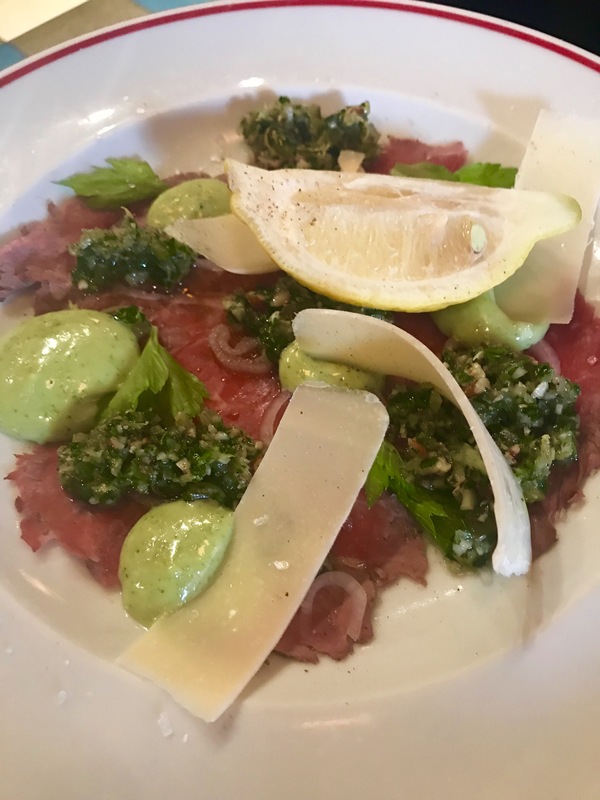 As well as old favourites like sole meuniere, mushroom risotto and bavette steak, there’s also a selection of delicious salads and a good range of other steaks – as you’d expect. The starters all sounded amazing. “I could eat everything on here,” I said to my dining companion, – don’t you love that? They sounded so good in fact that we decided to share a selection so we almost did taste everything. First up a tasty morsel from the “For the Table” section. 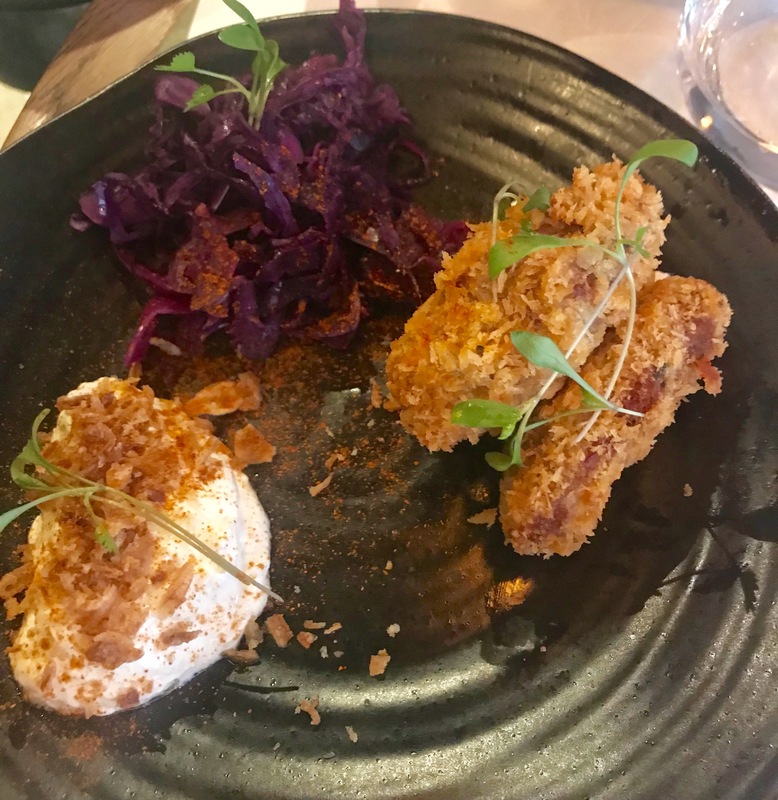 The brisket croquettes were served with horseradish, creme fraiche and pickled red cabbage. Beautifully rich, saucy meat encased in crispiness and perfect with the horseradish dip. The seared beef carpaccio was served with walnut and celery salsa, garlic aioli and shaved Parmesan. Do love a plate of carpaccio and this was a particularly good mix of flavours and textures. 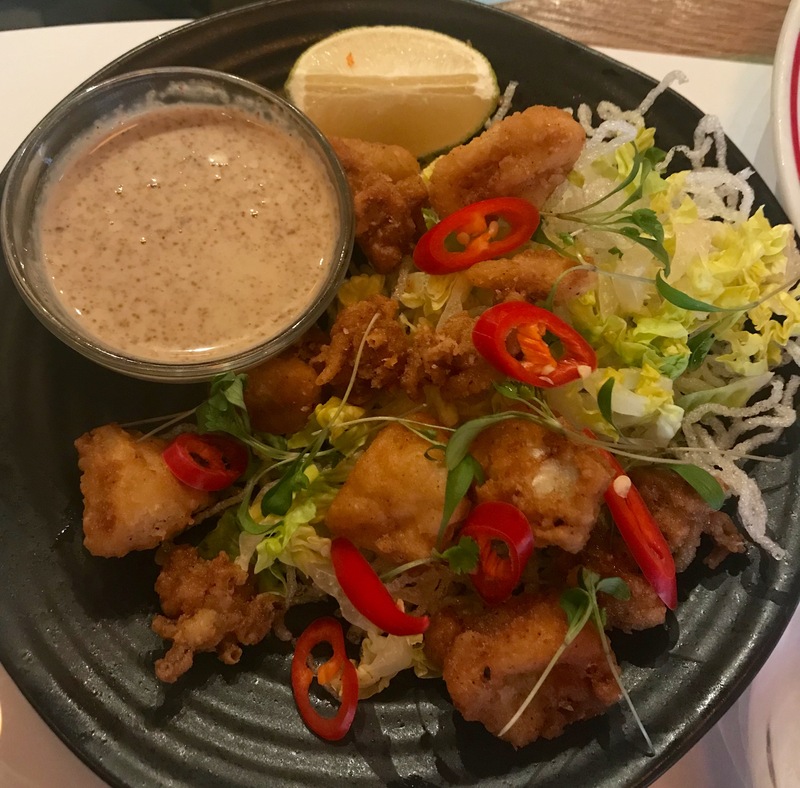 The salt and pepper squid was served with crispy vermicelli noodles and their house sesame and lime dressing. 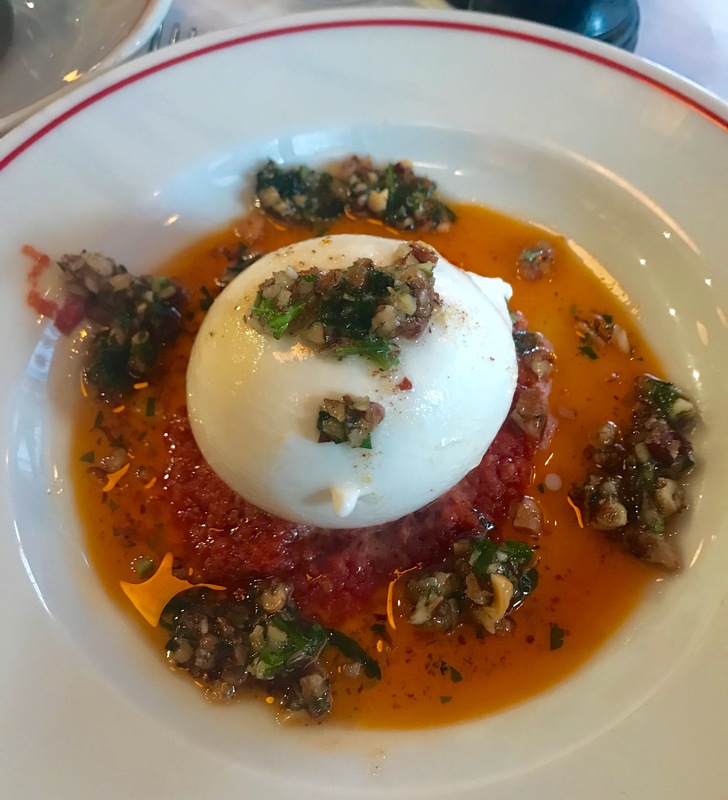 A creamy ball of burrata came with a smoky tomato relish and walnut gremolata. Perfect fresh burrata with a bit of zest and crunch in the sauce. 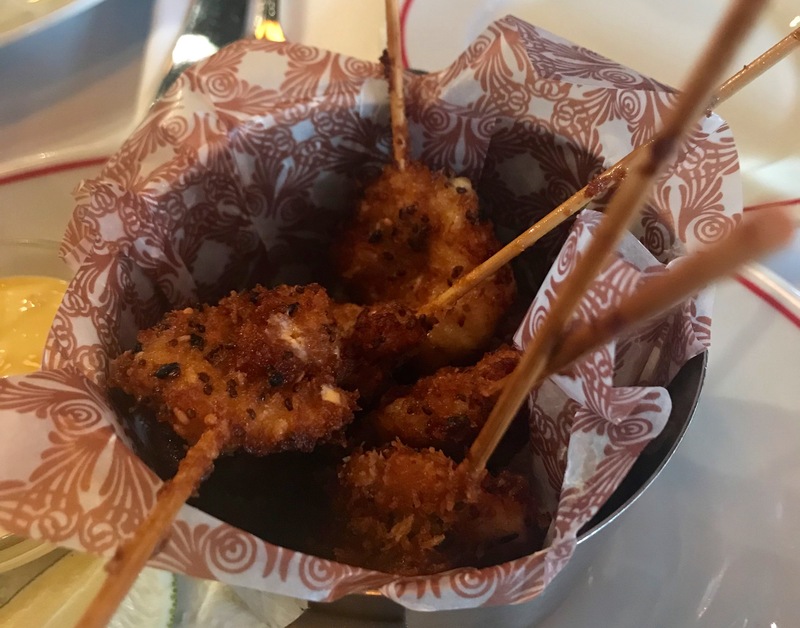 Crunchy skewered chorizo prawns came with a mango and chilli mayo. Plump prawns with a delightfully crisp coating. Jackson & Rye is the sort of place I can imagine become a regular haunt. I mean, how tempting does this bar look? Book me in! Five sharing plates which was plenty for two people cost £36.70. Wine starts from £16.50 a bottle (white, rose and red). 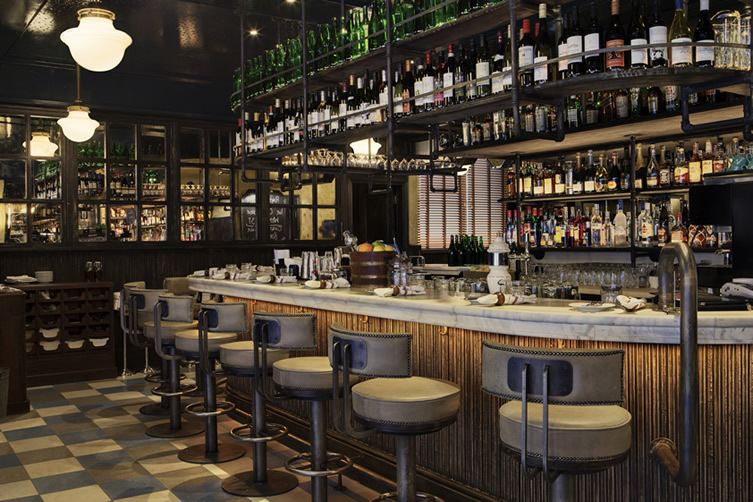 Jackson & Rye is at 56 Wardour Street. There are also branches in The City, Chiswick, Richmond, Kingston and Guildford.